In this article we demonstrate how to use Lottie animations in the extended splash screen of a UWP application. 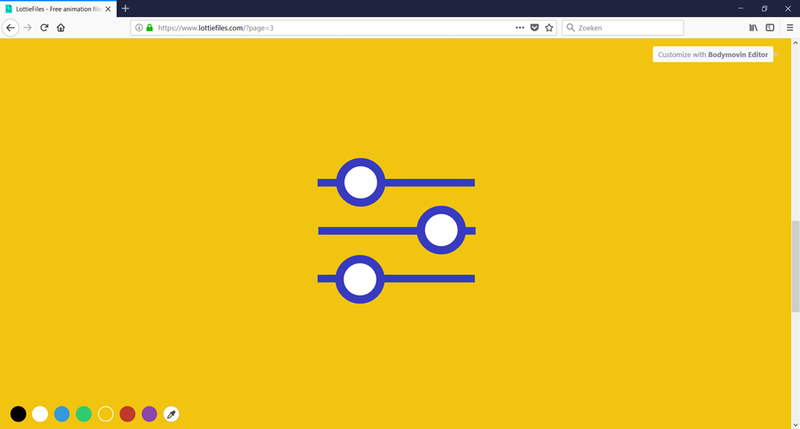 A Lottie animation is a programmable animated graphic that can be rendered into your XAML. Sometimes an app needs to execute some longer-running code on startup. Especially the very first time after an install or an upgrade, you may want to connect to the backend, create a user profile, populate a local SQLite database, and defeat the Klingons, the Sith and/or the Daleks. It is common to handle this scenario with a so-called Extended Splash Screen. This is a page that looks like the native splash screen and that executes the longer-running code, before eventually navigating to the main page. Typically an extended splash screen is decorated with a progress ring to indicate that the app does not hang. The nice official documentation for creating an extended the splash screen is right here. I started with a copy of the sample code from there, and replaced the progress ring by a Lottie animation. navigate to the ‘real’ homepage or shell. 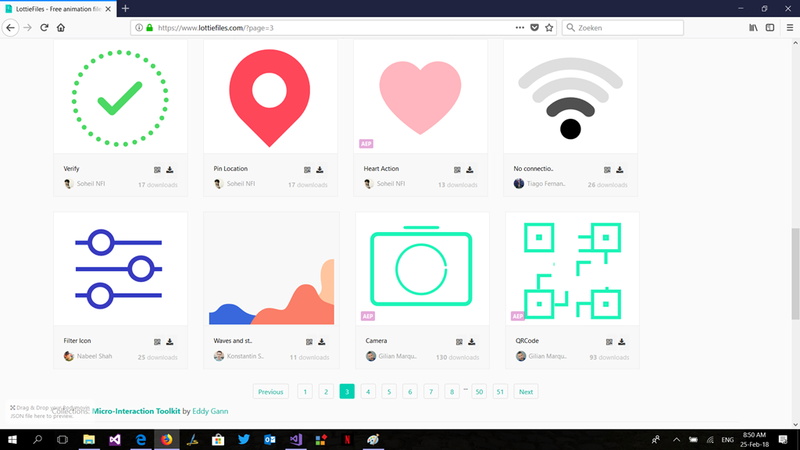 Lottie is a library to render animations. It uses JSON files that were generated by the Bodymovin extension of Adobe After Effects, a Special Effects editor to create picture and SVG animations. Lottie has implementations for iOS, Android, and the Web (React Native). It is supported by a broad community and has won a number of awards as design and development tool. It seems fair to assume that Lottie is becoming one of the standards for stand-alone animations in apps. That’s where I found the beer bubbles animation. // Adjust the speed of the Lottie animation. // Position the extended splash screen image in the same location as the system splash screen image. // Position the Lottie animation. 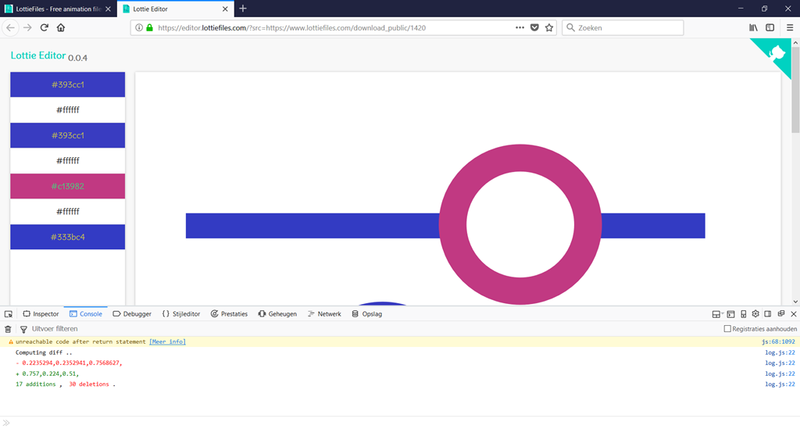 Visual Studio allows you to unminify the JSON file, this will reveal a structure of layers with the strokes and shapes and their use in animations and transformations. I assume that it’s unlikely that we’re going to apply changes manually in there. Nevertheless there are some ways to slightly tweak the files. This page allows you to change the color of some elements. The corresponding changes to the JSON files are logged in the browser’s Console. Please note that the animated GIF on this page loops infinitely, unlike the animation in the UWP app. // Adjust the speed of the animation. // Does not work declaratively for now. I just added this call to verify whether the button is still clickable when the animation is running on top of it. Fortunately this is the case. if you want see more Lottie API examples, please check Corrado’s blog post on the subject. The sample app lives here on GitHub in my 50th public repo. This entry was posted in UWP, UX on February 26, 2018 by xamlbrewer. ”Your 3 books will be delivered in 10 minutes.” sounds a lot better than ‘”Item: book; Quantity:3; ETA 2018-06-18T13:45:30”. 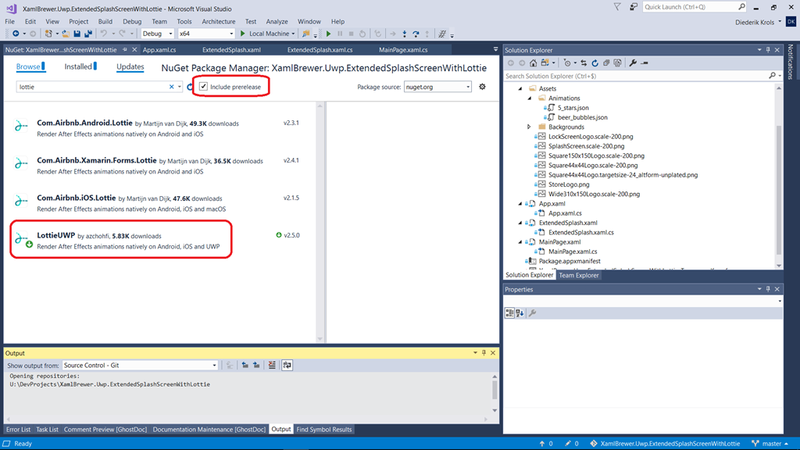 This extremely useful functionality is available as source on GitHub and as a NuGet package. I created a small app to test the package in UWP. 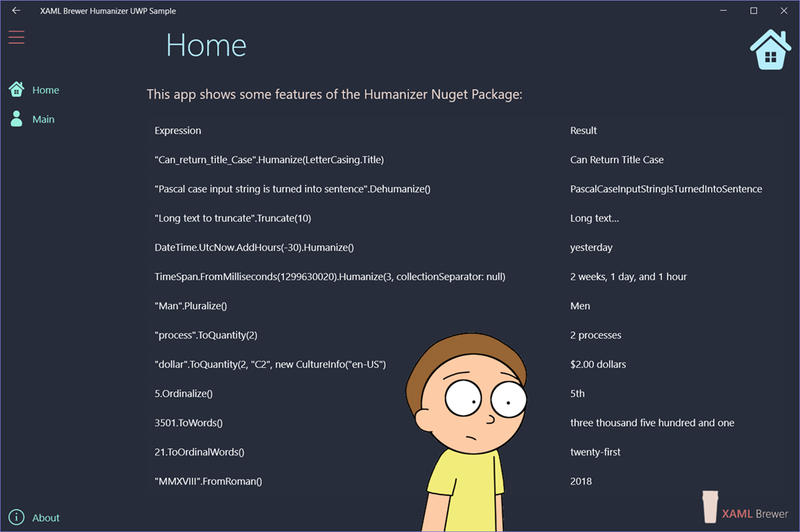 I’m not diving further into Humanizer’s features and code here, since it is well documented. 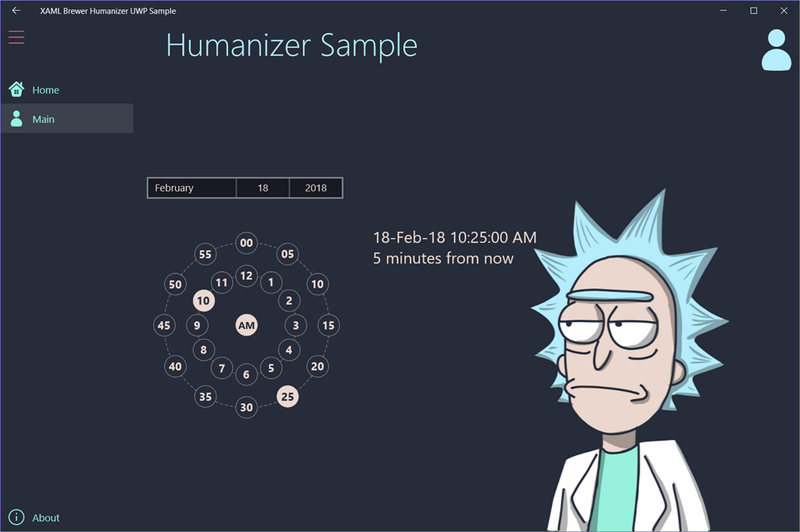 My UWP sample app lives here on GitHub. 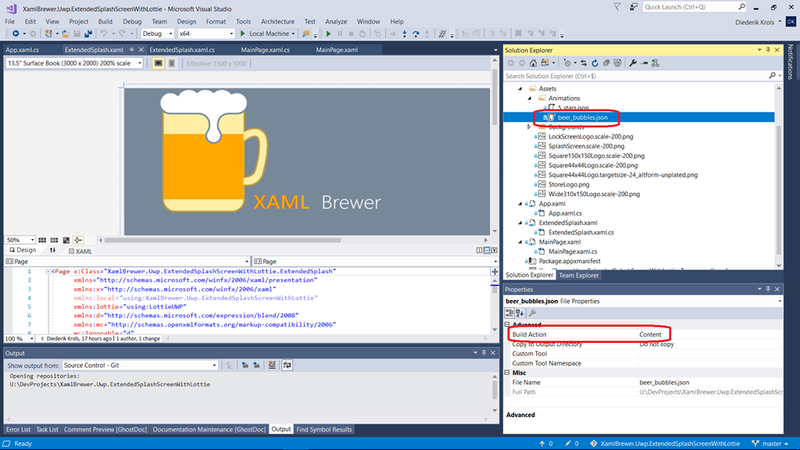 This entry was posted in UWP on February 18, 2018 by xamlbrewer.